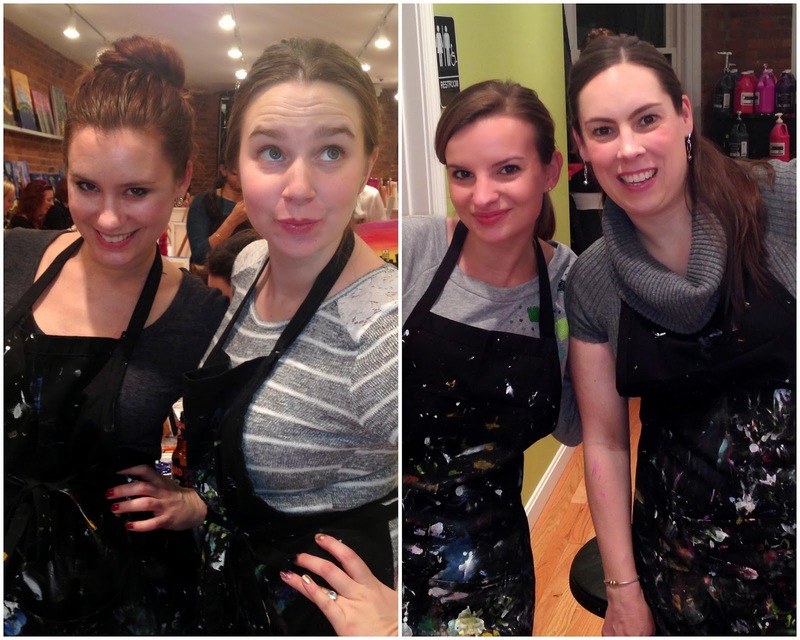 Friday night I got together with some of my favorite bloggers for a night of painting at The Paint Bar on Newbury Street in Boston. Anyone who has read my blog for a while knows that I've been to The Paint Bar MANY times including two times for The Bean Team MS fundraisers. 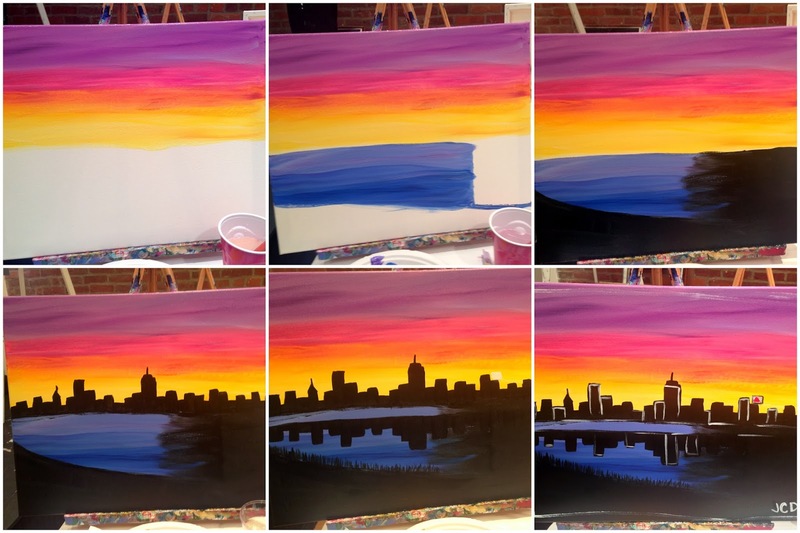 The Paint Bar was the first in Boston and in my opinion they are the best! We had so much fun! When we got there we had to gather our supplies. . . paint and wine (of course)! If you don't like your painting while working on it just have another drink and it will look better! Just be careful not to confuse your wine cup and your dirty paint water cup! I always like to show the progression of my paintings. People never think they will be able to do one of these paintings. The teachers at The Paint Bar are excellent. Jackie took us step by step through the painting and everyone did a great job. I must say I think this is my favorite one I've done so far. Not bad if I do say so myself! Too bad I don't have any wall space in my apartment to hang any of my beautiful masterpieces! You can see Jackie, the teacher's painting, in the background. During a break to let our paintings dry a bit we had some fun takings candids. Emily and LB on the left and Rachel and I on the right. Kate was suppose to join us too but went home sick from work and didn't feel well enough to come. We missed you Kate! I love how everyone's painting looks a little different but all beautiful! We had so much fun. 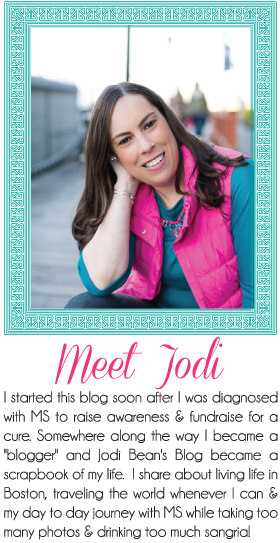 It is always great to hang out with my bloggy friends. Have you been to The Paint Bar yet? What are you waiting for? Sign up for a class. You won't regret it! They have locations on Newbury Street in Boston and in Newton. Check out there calendar to see upcoming paintings on the schedule. Sooooo fun! I want to do that but have zero talent for painting. So pretty and so fun! I have always wnated to do one of these things, but I know it's pretty likely that mine will look awful! how fun!! I have always wanted to do one of those!! Girl, your painting looks great! I would hang that up in my house! How fun! I can't paint at all - literally took a class in college for fun and I was so bad my teacher was failing me (what the eff is that? I showed up to class ever single day and tried lol!!) so it was my one college withdraw I had to take lol. But it'd still be a fun blogger activity. You did an amazing job! It always amazes me how they come out. I have no talent when it comes to painting but they seem to break it down to make it easier! Looks fabulous! It looks so good! I would love to do that sometime. I have good visual skills and good motor skills. Visual-motor skills, not so much. Ha! But I think I could follow directions to do it. The worst part is my brother is a painter. He obviously got all the art genes.